When we think of planning a wedding, our minds go straight to the ceremony and reception. What will the décor be? The food? The music? So many factors go into planning a big event, like a wedding, we don’t often think of all of the extras we can incorporate into the experience to honor our guests. Not only can these events be full of laughter and fun, they can also be filled with beautiful décor and delectable food. Let’s think beyond the reception. Here are other wedding events to honor your guests and how to decorate and cater them to perfection. Pop the bubbly and celebrate this incredible time! Depending on your theme, the engagement party can be an extravagant affair or an intimate gathering among friends and family. Have the champagne at the ready and serve some light bites, so that guests can mingle and learn all about your upcoming wedding! The bridal shower is the perfect way to show love and support for the bride and her upcoming nuptials, and the bridesmaids have many options when it comes to throwing a shower. Choosing the right menu and décor is important for this once-in-a-lifetime event, so planning is key. It’s a good idea to plan the shower around the theme of the wedding and incorporate the right décor for the space. Is the bride going for a romantic theme? Consider decorating the space with delicate florals in blush and ivory tones. 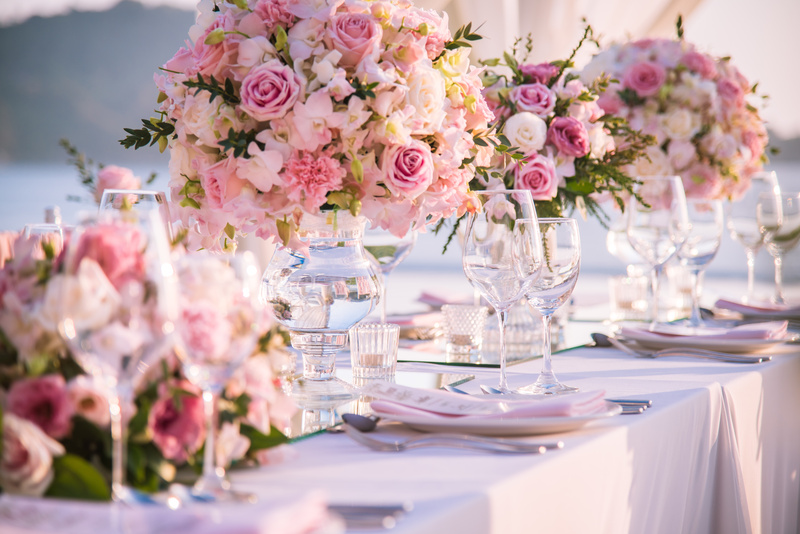 Working with a caterer is essential when it comes to planning the perfect bridal shower, so that you can be sure that you’re serving the right cuisine that not only appeals to the theme, but also to the bride. Embrace seasonal dishes for this event. Seasonal ingredients are just that…they are in their peak of freshness during their particular season. Fall brings warm, comfort dishes, while spring brings forth more fruit-filled dishes and herbs. Finding the right dishes to complement this event is one of the most important aspects of planning a shower. The list goes on. It’s your choice if you want to make this a casual event or a more lavish party. 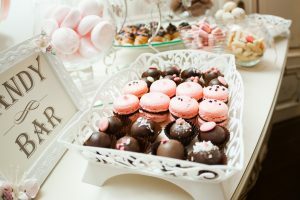 Perfect food and drink selections include mimosas, small bites and some sweet treats…everyone loves a good macaron! The last fling before the ring comes in a variety of forms. Formal dinner, a night on the town or a day at the beach. Really, anything goes when it comes to bachelor and bachelorette parties. Again, this can be a casual hangout or more extravagant with food and drink selections complementing the type of event. Try cocktails and light bites for the girls and craft beer and finger foods for the guys. The most important part of this event is that everyone has a fun and safe time, celebrating the bride and groom to be! The bride and groom may not be present the day after the wedding, depending on the honeymoon and travel plans, but take this opportunity for the parents to relax and spend time with any out of town guests after all of the wedding craziness is over. Keep it casual. You may want to try a buffet-style brunch, so that your guests can fuel up after an evening of dancing the night away. When it comes to planning wedding events to honor your guests, have fun and enjoy the time planning these festivities. Remember to find a theme and decorate to complement that theme and plan your menu accordingly. After all, your guests may not always remember every last detail of the event, but they’ll always remember the delicious food and fun-filled atmosphere. Let the team at Crave Culinaire help you plan your menu for your wedding events! Call (239) 292-1529 or visit www.craveculinaire.com to learn more!